My journal is a scary place right now. And I’m starting a new one tomorrow. It’s mainly notes from 8 weeks or so of class here in Spain with bits and pieces of thoughts and revelation intertwined in the pages. I’ve sorted a lot of it out through asking questions and conversations over coffee, tea and wine. But the pages of my journal are a mess of words, phrases and scribbles. And if there is one theme that weaves it’s way through all of it, it’s the theme of identity. We talk about identity so much in this world. And as someone who has spent most of her Christian life in bible studies with groups of women it’s a topic that causes me to roll my eyes. I don’t think we need to SEARCH so hard for our identity. I think it just comes to us. That’s why my journal is peppered with talk of identity. Because as I learn more and more about this new face of Jesus I’m seeing who I am. We live this life where we strive to find identity in everything that we do. In everywhere we go. But what if we didn’t need to strive? What if we didn’t need to search for things that give us clues to who we are but what if instead we searched to learn about who Jesus was and is presently. I’ve been learning something beautiful the last 2 months: I’ve been learning about who God IS. And he definitely isn’t a lot of what I’ve heard all my life. He’s joyous. He delights in us. He gives us keys to the plans he has and tells us to run with them. He does not want to check our every decision. He just wants us to be who he created us to be. Because those creations are vibrant and lovely already. So while I’ve been searching for this identity it’s honestly been right in my front of my face. I don’t need bible studies or books or anything to figure that out. I just need to walk arm and arm with God and hear what he tells me, through so many varities of ways and I need to pick up what’s meant for me. Before coming to Spain I had the vague idea of what I wanted to do. But mainly I just had this large pile of things that I wanted to be involved in. Passions, gifts, talents, words. Just in this bag of tricks that I lugged with me over an ocean. A few weeks into my time in Spain we held the inaugural g42 reunion. Alumni from the first five years came from all over the globe to remember and celebrate what God had done and was doing, to lift one another up, to visit this place so many people still call home and of course to establish more vision in the next years of life. The house I live in is the bigger of the two so we hosted ten alumni and in that group was the Harder family. Steve and Jo Harder and their beautiful boys who are missionaries to Ukraine. Jo is a kindred spirit. She is a powerful, strong, vibrant woman who hears wonderful, beautiful truths from God. At the reunion kickoff we had a time of prayer and prophecy and Jo shared a word she had. She wasn’t sure who it was for but she knew she had to share it. She shared a picture of this person who was holding all of this JAM. It was dripping out of their hands and the person wasn’t sure what to do with it all. Jo reiterated that she didn’t know who it was for, but if it was for you then to come see her. I didn’t give it a second thought. Mainly because I was in an incredibly emotionally, overwhelmed place and also because I didn’t WANT to hear it. So that evening after worship was over I had two people come up and say they thought of me when the “jam hands” picture was given. Why? The week prior I had made a wedding cake and the filling? Raspberry jam. But, like I said I wasn’t in the place or the mindset. And also like I said in this last blog; I feel as if God has been “saving thoughts” for me and this thought; this picture was one he saved for me. What if I opened a secondhand bookstore? There it was. A random thought in the middle of class on a Thursday morning. 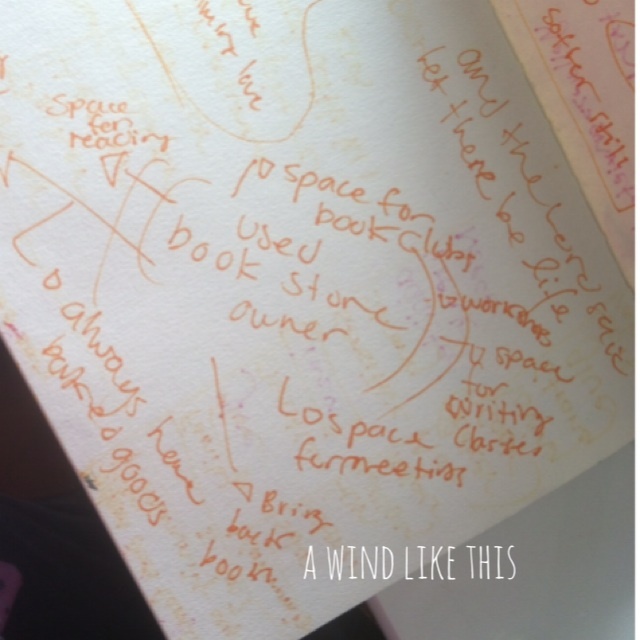 What if I opened a secondhand bookstore and taught creative writing classes? I wrote a little more and then stopped. What if I taught story? Through everything in this little bookstore. Through creative writing, through baking, through book clubs, through sharing and laughing over good food. Since going on the world race I’ve known that for the rest of my life I want to sit across tables from people. I want to hear story and see what is going on the lives of those around me. I am honored that I get the privilege of hearing what God is doing and being able to speak into what God is doing and where he is going in someone’s life. I’ve also known that I want to tell my story and let other’s use it in their lives. I want to teach things that are good for the heart. I want to use the things I have been given to speak into other’s lives. I want to create a space out of which people can MOVE. But my thought prior to this random moment of revelation was where in the WORLD can I do this? Is this just a lifestyle that I am going to live? Is this a ministry I will step into? But there wasn’t enough for me in that. And then sitting in the class in the middle of the morning I just knew. I knew I had found something that was more. I knew I had found something that terrified me. Later that same afternoon I did my identity mapping up front. And one the questions that was asked of me was this: Where do you see yourself in 30 years. My answer: Standing on my porch. That I own a house. And suddenly everything that I had ever thought was gone and I was choosing to believe in myself more. Choosing to believe that I could do more then just sit across from someone at a coffee shop. So that’s where I am going to leave this. That’s where I am going to leave you. With the fact that there is more for me then I ever actually thought possible. I’m dreaming big, creating a plan to get there. It’s not a next year plan, or even two years, but a long term plan. Dreaming, thinking and invisoning the future. I’m here in Spain for 3 more months and would be honored if you would consider partnering with me in further what I’ve learned and done here. To see ways that you can journey with me check this out. I’ll leave you with a verse from class today; the prayer of Jabez. It encourages me to dream, hope, and long for more. It gives me the courage to know that I CAN do more with all this jam on my hands. 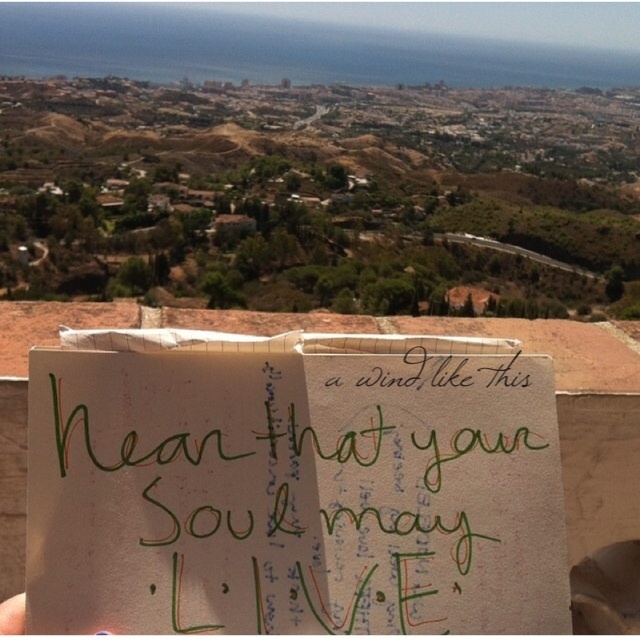 Hear that your soul may live. This has been a phrase that has been in my heart for a few months now. I first read it when the passage Isaiah 55 showed up in my “guide to prayer”. The words strung together are beautiful. And I held onto that beauty because I needed it. It was like a life raft for me. A bit of lovely to hold onto. I think in those moments in the coffee shop in Kingsburg it wasn’t about me hearing from God. It was the knowledge that God was there. 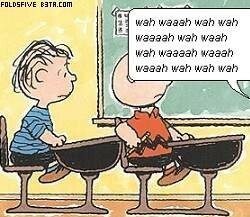 When my preschoolers would get super excited and have something they wanted to say; when they were jumping up and down out of their seats to say something but it wasn’t the time I would tell them to “save their thoughts”. When God showed me the phrase “hear that your soul may live” I believe he then started saving His thoughts for me. He was really excited to let me in on what was going on in his head but it wasn’t the time for me. He was storing them for a time when I would be capable of REALLY listening. And then I came to Spain. A couple of weeks ago we had a week dedicated to learning about hearing God’s voice. We learned through story and through seeing how God moved and spoke and what he was like. Most every week here, every day, every conversation speaks about hearing from God and what we have HEARD from God. Because when we hear from God we move. When we hear from God we live. And where do we hear from God? It’s about opening the senses to touch, taste, hear, see and smell God. There is no wrong way or right way to hear Him. And now as I sit in another coffee shop halfway around the world I realize my spirit is so incredibly OPEN to hear from God. That the thought of hearing from him inspires me. There is a flipside as God wants to hear from me. He doesn’t just want to speak. He wants to listen. For me it’s been stopping the act of putting headphones in my ears while I walk alone and freeing my mind of noise. it’s writing my thoughts and words down so that other people can see what I’m pondering through. it’s being open to speak so that I may hear. “hear that your soul may live” has become a breathe in breathe out prayer for me. There were days that in order for me to take a STEP forward I had to ask God to walk with me. And he listened and walked with me. And I think that without knowing it “hear that your soul may live” became a prayer. I heard God one Sunday morning in June of 2009 staring at myself in the mirror. And I spoke to God. And then spoke. He showed me a dark, windowless, doorless room. There was no way out and no way for light to get in. Then a nightlight came on. A really small dim light. What if I had not heard God that day? HEAR that I may LIVE. Those days are far from me now. They don’t lay claim on me. All that is left of them are tear stained journal pages and the memory of a night spent crying on my phone in a parking lot. I heard so that I would survive. Now I hear so I may LIVE. Hearing from God is met now with life. Met with hope. Not met with grasping at a shred of light. My soul is living a lot these days. Living and listening to the joy, the color, the vibrancy, the light of life. I’m realizing the God can speak in and through everything. 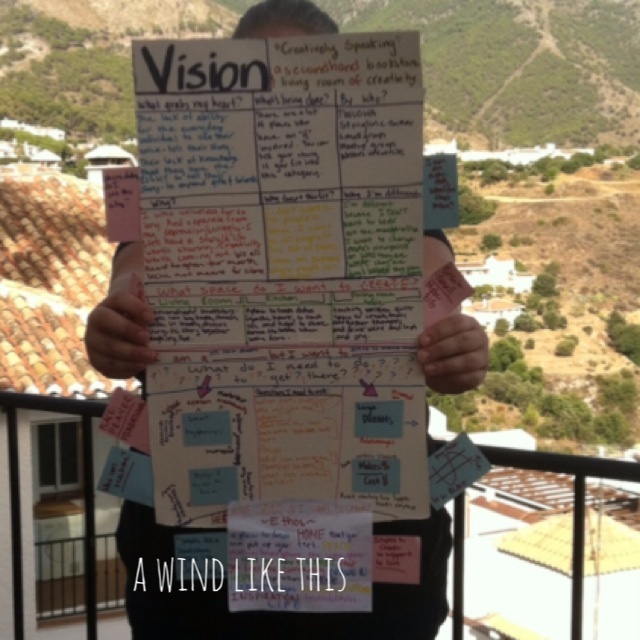 From the winds that sweep through Mijas, to conversations my roommate Katarina and I have before we go to bed each night, He speaks through His word, and through prayer and conversation. I’ve met with a new beautiful Jesus here in Mijas. One who is life bringing and who longs for me to dream and have vision. One who wants to speak so that I can hear. One who trusts me with the plans he has created. I can’t wait to continually learn about this lovely, light filled Jesus, to speak and listen to what he may have for me and others. To change the way I see things. I can’t wait to continually, daily live.